Mike Beedle was one of the original signatories of the Agile Manifesto, author of multiple books, founder of the Enterprise Scrum scaling framework, and passionate teacher and mentor for so many in our community. Mike and his companies have introduced Scrum, Enterprise Scrum and Business Agility, to tens of thousands of people and thousands of companies, providing training, consulting, mentoring, and coaching. He is the creator of the Enterprise Scrum framework and was the first CEO to manage an entire company in an Agile way using Enterprise Scrum. He was a keynote speaker at countless Agile and Scrum conferences world-wide. In the words of Jeff Sutherland: "Mike was an amazing and magical guy that could take a new idea like Scrum and not only build hyper productive teams but deliver a hyper productive company!" 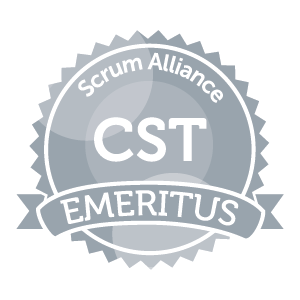 And Ken Schwaber: "Mike has a long history of helping move Scrum forward. He loved the scientific underpinnings. He was at Snowbird with us and never looked back." Mike was generous, warm, and incredibly passionate about life and Agile. Read more about Mike Beedle here.